Directions: For adults, take three (3) capsules daily, preferably with meals. Other Ingredient: Vegetable Cellulose, Gelatin. Contains <2% of: Silica, Vegetable Magnesium Stearate. Contains Soy. No Artificial Color, Flavor or Sweetener, No Preservatives, No Sugar, No Starch, No Milk, No Lactose, No Gluten, NoWheat, No Yeast, No Fish. Sodium Free. Warning: Not intended for use by pregnant or nursing women. If you are taking any medications or have any medical condition, consult your doctor before use. Discontinue use and consult your doctor if any adverse reactions occur. Keep out of reach of children. Store at room temperature. Do not use if seal under cap is broken or missing. Soy Isoflavones is rated 5.0 out of 5 by 6. Rated 5 out of 5 by jacorn from Excellent Product Always consistent and I know I can rely on this as a good product. Rated 5 out of 5 by Zoya from you can trust this one Since I began taking this supplement, my periods went back to normal and night sweats stopped. 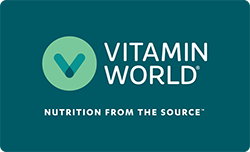 Rated 5 out of 5 by PRD99 from Great product Have been purchasing these from Vitamin World for about 15 years and have always been very pleased with the ease of purchase and how quickly they are delivered. Please don't quit producing them!! Rated 5 out of 5 by Anonymous from Hot Flash Great! Been using this for over a year for Hot Flashes. Best product ever!